江朝晖,李想,陆元洲,单桂朋. 程控放大器设计的方法总结与分析[J]. 高教学刊, 2016,20: 62-64. 江朝晖. 地方性农业高校电子信息类人才创新培养模式研究与实践[J], 高教学刊, 2015, 20: 34-35. 江朝晖. 电子系统设计教学的问题分析与方法探讨[J]. 教育教学论坛, 2013, 3: 80-81. 高翠云,江朝晖,孙冰. 基于TMS320 F2812的DSP最小系统设计[J], 电气电子教学学报, 2009, 31(1): 83-85. Yunyun Sun, Zhaohui Jiang*, Liping Zhang, Wei Dong, Yuan Rao. SLIC_SVM based leaf diseases saliency map extraction of tea plant[J]. Computers and Electronics in Agriculture, 2019,157:102–109. 孙云云, 江朝晖*, 董伟,张立平,饶元,李绍稳. 基于卷积神经网络和小样本的茶树病害图像识别[J]. 江苏农业学报, 2019,(01):48-55. 贾新宇,李婷婷,江朝晖*,刘海秋,饶元. 基因表达式编程优化的色调保持低照度图像增强[J]. 激光与光电子学进展, 2019, 56(09): 091502. Zhaohui Jiang, Tingting Li, Wenfang Min, Zhao Qi, Yuan Rao. Fuzzy c-means clustering based on weights and gene expression programming[J]. Pattern Recognition Letters, 2017, 90: 1-7. 闵文芳, 江朝晖*, 李婷婷, 祁钊, 饶元. GEP优化的多输出RBF网络作物生理参数建模[J]. 安徽农业大学学报, 2017, 44(1): 165-170. 江朝晖,李想,马友华,许正荣,饶元.基于ARM和Android的通用化农田信息检测终端研究[J]. 农业机械学报, 2016, 47(11): 294- 300. 李婷婷, 江朝晖*, 闵文芳, 姜贯杨, 饶元. 基于基因表达式编程的番茄叶片CO2交换率建模与预测[J]. 浙江农业学报,2016, 28(9): 1616- 1623. 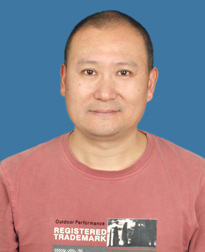 Jiang Z H, Zhang J, Yang C H, Rao Y, Li S W. Performance of classic multiple factor analysis and model fitting in crop modeling[J]. International Journal of Agricultural and Biological Engineering, 2016, 9(2): 119-126. Yuan Rao, Zhao-hui Jiang, Naftali Lazarovitch. Investigating signal propagation and strength distribution characteristics of wireless sensor networks in date palm orchards[J]. Computers and Electronics in Agriculture, 2016, 124: 107-120. 江朝晖, 张静, 饶元, 朱诚, 李绍稳. 基于聚类和异常检测的作物监测数据预处理研究[J]. 浙江农业学报, 2016, 28(5): 885- 892. 闵文芳, 江朝晖*, 李婷婷, 姜贯杨. 监测采样间隔对作物模型性能的影响研究[J]. 中国农学通报, 2016, 32(15):187-192. 祁钊, 江朝晖*, 杨春合, 刘连忠, 饶元. 基于图像技术的玉米叶部病害识别研究[J]. 安徽农业大学学报, 2016, 43(2): 325-330. 江朝晖, 杨春合, 周琼, 饶元, 刘莉. 基于图像特征的越冬期冬小麦冠层含水率检测[J]. 农业机械学报, 2015, 46(12): 260-267. 杨春合, 江朝晖*, 杨宝华, 陈�t琼, 刘连忠. 基于移动互联网图像处理模式的作物叶片含水量检测研究[J]. 浙江农业学报, 2015, 27(10): 1835-1840. 陆元洲, 江朝晖*, 李想, 祁钊. 植物水分含量检测综述[J]. 中国农学通报, 2015, 31(9): 168-177. Yang Ya’nan, Jiang Zhaohui*, Yang Chunhe, Xia Zhiqiang, Liu Feng. Improved Retinex image enhancement algorithm based on bilateral filtering[C]. ICMMCCE 2015, P2218-2224. 李想, 江朝晖*, 陆元洲, 潘炜, 余林生. 基于微传感器阵列的蜂巢温度监测与分析系统[J].传感器与微系统，2015, 34(11): 63-65+68. 主保玉, 江朝晖*, 杨春合, 李想, 陆元洲. 冷链物流车厢微环境感知与调控系统设计[J]. 安徽农业科学, 2015, 43(3): 374- 376. 江朝晖, 张静, 杨春合, 周琼, 余林生. 越冬蜂群调温机理仿真[J]. 系统仿真学报, 2014, 26(6): 1301-1307. Zhang Jing, Jiang Zhaohui*, Wang Chunsheng, Yang Chunhe. Modeling and prediction of CO2 exchange response to environment for small sample size in cucumber[J]. Computers and Electronics in Agriculture, 2014, 108: 39-45. Jiang Zhaohui, Zhang Jing, Wang Chunsheng. Continuous ant colony algorithm based on two-stage optimization[J]. International Journal of Advancements in Computing Technology, 2013, 5(8): 540-547. 江朝晖, 檀春节, 支孝勤, 王春生, 马友华. 基于频域反射法的便携式土壤水分检测仪研制[J]. 传感器与微系统, 2013, 32(1): 79-82. 李绍稳, 江朝晖, 朱军. 安徽农业物联网 创新思路谋发展[J]. 中国农村科技, 2013, 221: 66-69. Jiang Zhaohui, Wang Chunsheng, Zhang Jing, Yue Yi. Online monitoring and analysis of plant photosynthetic physiology and environmental factors[J]. Applied Mechanics and Materials, 2012, 241: 75-80. 黄晓慰, 陆丽莉, 江朝晖*. 光照不变性研究及在农业领域中的应用[J]. 农机化研究, 2011, 12: 43-46+50. Huang Xiaowei, Jiang Zhaohui*, Lu Lili, Tan Chunjie. The study of illumination compensation correction algorithm[C]. ICECC 2011, P2967-2970. 江朝晖, 许正荣, 陈�t琼, 焦俊, 李绍稳. 远程农业监测信息系统设计与实现[J]. 农业网络信息, 2010, 11: 40-43. 江朝晖,焦俊,潘炜,李绍稳. 基于ZigBee的农业通用无线监测系统设计[J]. 安徽农业科学, 2010, 38 (6) : 3149-3151. 江朝晖, 高翠云, 李莹莹. 通用自动测试系统软件设计与算法仿真[J]. 中国仪器仪表, 2009, 4: 68-70. 郎文辉, 江朝晖, 周荷琴, 冯焕清. 区域指导的彩色图像插值[J]. 电子学报, 2006, 34(1): 35-39. Liu Dong, Jiang Zhaohui*, Feng Huanqing. A novel fuzzy classification entropy approach to image thresholding[J]. Pattern Recognition Letters, 2006, 27: 1968-1975.